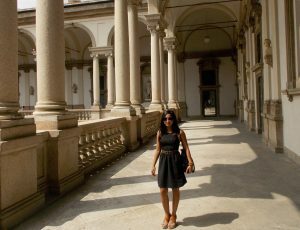 I was super excited when I stumbled upon Thia’s interview with Be My Travel Muse (gosh, I love her blog!) 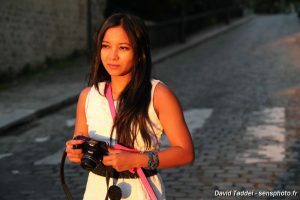 And the fact that she is also an Indonesian solo female traveler who has been traveling around the world by herself. I figure that she is such an inspiration for Indonesian women out there. As it was hard for me to contacted her, I was over the roof when she finally got my message on Facebook. And so, she finally agreed to be the Superwoman of September! 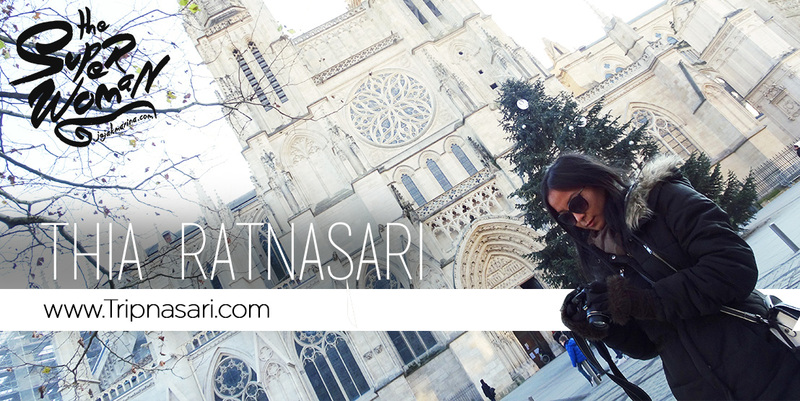 Now, let’s read more about Thia Ratnasari and do not forget to check out her blog as well! I come from the dynamic family who appreciates not being stuck at home. When I was a kid, my parents often brought me to a road trip by car in Java, Bali and Lombok, just not to get bored at home. One time when I was 14 years old, I travelled to Jakarta with my mother and my sister by train. I told them that I wanted my own seat away from them, that I wanted to know how it felt to be a stranger who travelled alone during 10 hours train trip. Surprisingly, I did enjoy being with my own company, enjoy being a stranger. I think this is what inspires me to travel solo, the joy of being a stranger. I can’t consider that 14-years-old-me experience as my real debut of solo travelling nor that first summer trip in 2012 in Europe because even if I travelled alone, I had my friends who kept me accompanied at destination. So talking about my real first solo trip destination, it happened to be in Perth, Australia in 2013 when the flight promo from Air Asia popped-out in my inbox. It was too tempting to be ignored, I had never been to Australia before and even better, it was a direct flight from Bali to Perth so I could enjoy some times in Bali, my favourite weekend escape destination. I told my best friends about this flight promo and if they wanted to take the tickets with me. When they were all making excuses for not to go, like how about the visa, and bla bla bla, I took my own tickets and confidently arranged my own trip, alone. So during my first solo trip, I visited Perth and Fremantle. Funny thing is that I never had a problem to understand English during my trip before Australia in Singapore, Malaysia, UAE, Slovenia, Italy and France, but that time in Australia, I was really not used with the accent so most of the time I requested the interlocutors to repeat. So talking about my trip, the perk of being woman who travels alone is that you will find many people keen to help you. I stopped by in Fremantle and met some nice people who also shared their love for Indonesia, as we know we have a lot of Australian visitors in Bali. 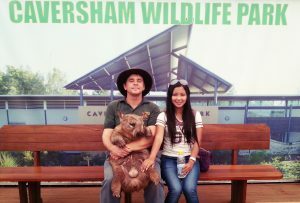 After Fremantle, I stayed in Perth and since it was Australia, I went to Caversham Wildlife Park to hang out with Kangaroo for real. Australians really really impressed me, they were so friendly and helpful even without me asking for a help. Just by seeing I looked confused about direction, they came approaching me and asked if they may help me. It was really convenient to travel in such modern city surrounded by a kind people. It was good decision that I choose Australia to be my first solo destination; it has encouraged me to travel solo more. I mentioned earlier about the joy of being a stranger when travelling alone, that’s the thing I love for travelling alone. Being stranger means when people you meet only know you of who you are at that time, they don’t know what your past is, what your family situation or what your occupation is; they simply want to get to know you because you are a stranger, just like them. The other things that I love about travelling alone are that I can do whatever I want and I can choose not to do what I don’t want to do. You know, when you are travelling in a group, democracy will apply, the group will vote what they want to do and sometimes the decision is not convenient for you. Travelling solo is different, one day you can be very excited to learn history in Le Musée du Louvre in Paris, another day you can be just a lazy bug staying in the air conditioned gelato cafe during summer and those are totally fine, you don’t need any approval from other. However, there are also cons about travelling alone. Travelling alone could be more costly than if you travel in a group. Last May I was travelling alone in Langkawi where the public transport doesn’t exist. Only fixed-price taxi dominates the transport system. So I had to cancel my plan to visit Gunung Raya because I didn’t find anyone to share the taxi cost. Another con like the other solo traveller is the lonesome feeling after some weeks of being alone. But well, the world is plenty of people who want to get to know you, so when I feel lonely, I can just go to the local bars with a chance to make new friends or just to have a drink or two and I would not feel alone. I believe there is no such best way to travel neither the best traveller of the world. Every traveller has their own style, their own needs, their own way and travelling are personal. 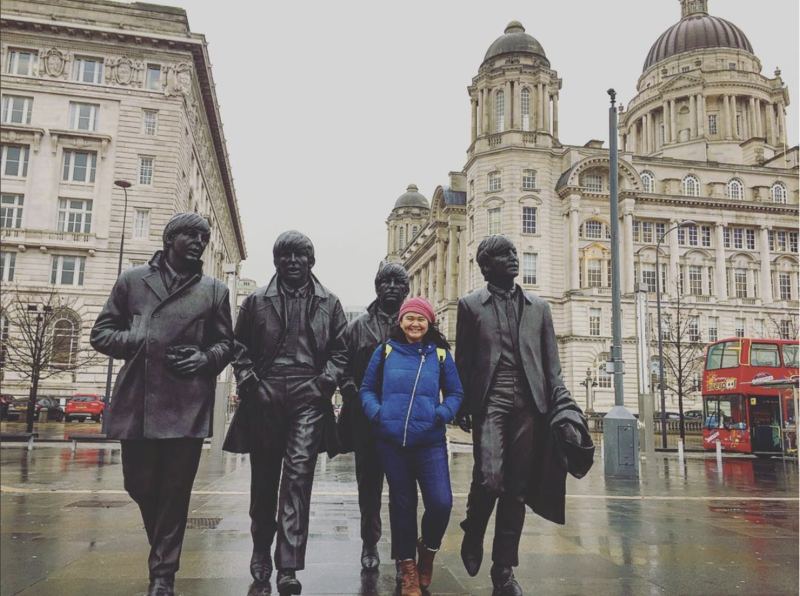 I personally like to independently organize my own trip and as much as possible I would like to avoid a group tour or tour package so those travellers who could provide me with some input to help me organize my trip are the inspiration for me. As for me, I also want to inspire others to travel more independently, so currently, I have my own website with a mission to introduce more about Indonesia and to show that you can explore Indonesia independently. It is actually hard to answer this question. Each country that I have been really giving me different feelings. I can’t really name my favourite country because there will be more than one so I will just name the continent, which is Europe. Anyway, this may be really personal because I have never been to everywhere in the world but of all destination that I’ve been, I choose Europe. If you happen to travel solo in Europe, trust me it will be a memorable trip. The continent is full of history and the transport system, especially in western Europe, is representing the maturity of the continent which eases the traveller to commute. Europe has a wide range of accommodations, from budget to luxury; it all depends on your choice. If you want to travel cheaper in west Europe, try Spain, Portugal and Italy. Another recommendation especially for solo female traveller, Europe might be a developed continent, but I would avoid arriving in any destination in the evening. The evening’s transportation is still limited and the chance of crime is still there especially when you are occupied with your huge suitcase or backpack. In Europe, the normal stores are closed at around 8 pm and restaurants close at 10-11 pm the rest that still open are bars and clubs, so arriving in the evening is not really convenient as there will be fewer people who commute. Travelling solo or not, I can’t forget my camera. I am not photographer but some beauties are worth to shot. At school, history lesson really bored me. It was not interesting to learn something only by the book. But when I start to travel, I really appreciate history; it is indeed exciting to learn the history directly at the real historical sites like churches, museums, prisons temples and painting galleries. Did I mention that I am a beach kind of girl? So yes, beach hunting is also on my list. In general, I like nature and activities so I like snorkelling, learning tai-chi while cruising, trekking the mountains, sunset hunting and joining the cooking class. If you have decided to do your first time to travel solo, do all the preparation accordingly to avoid any hassle. Check the visa requirements, season at the destination, book the accommodation at your first destination, Google on how to navigate/commute from point to point and the rest you can always decide on the spot. The first solo trip may seem scary and exciting at the same time, so those preparations are to remove the scare and leave only the excitement. Born in Surabaya, the Heroic City of Indonesia, might have blessed her with the strong-will and stubborn character to always strive for what she wants. Eventually the biggest thing that she wants above all is to see the world with her own eyes. From that point, she is aware of her priority and act accordingly. Now, having a full time job might not give her much flexibility for a spontaneous long term travel but it is beneficial enough to make her travel addiction becomes affordable. From time to time she goes for a weekend escape and at least once or twice a year she takes a longer period of travelling, away from responsibility. For her, having a full time job is not an excuse for not travelling. Everyone can travel! Hahahaha… sadly i only review Indonesian women. Maybe you have any recommendation? very inspiring… perhaps mine would be here before long. I like the advice by the way.